It’s not fair. In fact, fair is the last thing it is. A happy, witty, intelligent, empathetic seven-year-old child bursts with life. She is fun and funny. She is gentle and caring. She loves the roughness of hockey and the sweetness of a frilly new dress. She loves catching bullfrogs and reeling in bass and yet trembles at the sight of a spider. She loves corny jokes and bouncing on her trampoline and quietly contemplating books beneath a blanket-fort. She is perfect. But then, she is not. Last year her pancreas died. No one knows what causes type one diabetes. It is not like type two, which is caused by genetics or a bad diet or lifestyle. Doctors guess that a virus may be the culprit. The virus leads the body’s immune system to attack the pancreas, leaving it unable to produce insulin. Insulin is the hormone that regulates the sugars we eat and allows them to enter our cells and produce energy. But without the pancreas working as it should there is no insulin and so sugar levels in our cells go wild with the transformation not happening. Until the 1920s, children around the world with type one diabetes were dying by the millions. A Canadian surgeon named Dr. Frederick Banting read German research and came to suspect what we now know. He convinced University of Toronto professor John Macleod, a leading diabetes researcher, to give him money and a laboratory. 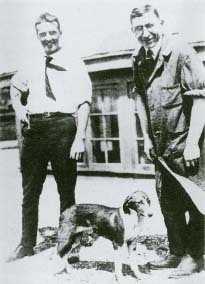 Working with a medical student named Charles Best, Banting began experiments first with dogs and then with cows. They found that extracting insulin from a healthy pancreas and injecting it into animals that had their pancreas removed controlled the animal’s sugar level. It was an astounding discovery. Leonard Thompson was a 14-year-old old boy. He was skeletal thin and unable to stand or concentrate. He was near death. Leonard and his parents agreed that he would be Banting and Best’s first human test subject. He was injected with insulin. Within a few minutes he smiled for the first time in days, sat up, and wanted to eat. It was nothing short of a miracle. Other test subjects saw similar results. Child after child was invited back from heaven’s gate. The 1923 Nobel Committee awarded Banting and Macleod the Nobel Prize in Physiology or Medicine. Banting shared his prize money with Best. Banting was told to patent his discovery. He said no. He did not want to profit from something that he wanted only to help children. Companies rushed in and soon insulin was being injected into young arms and saving lives. It would be nice if the Banting and Best discovery was a Hollywood happy ending but it is still too early to cue the violins. Insulin injections manage the disease but still do not cure it. The management is tough. Picture yourself having to use a small instrument that jabs a sewing needle into your thumb, then squeezing to bring forth blood. I’ve done it. It hurts. Now picture doing that five to eight times a day. It hurts every time. Now picture your Mom or Dad waking you up in the middle of the night to do it again. Now picture yourself being injected with a needle, akin an epi pen, twice before breakfast, once at lunch, once at dinner, once before bed, and then more times depending upon what all the blood tests suggest. Imagine doing that every day for the rest of your life. How do you do that as a child at school, at summer camp, on camping trips, at sports tournaments, at restaurants, at birthday parties, at slumber parties, and at all the other times and places where you just want to be a regular kid eating kid stuff and doing kid things? Being a parent is hard enough. Now picture a situation where you do everything perfectly. That is, through steely, relentless diligence your child eats perfectly, carbohydrates are counted, exercise is monitored, blood tests are taken and dutifully recorded, urination is tracked, headaches, dizziness, and fatigue are noted, the insulin levels in all the needles are carefully measured and administered, and yet, despite all that and more, in the middle of the night, your child’s sugar level crashes so low that she falls into diabetic seizure. It looks like epilepsy. If not discovered, discovered while you are asleep yourself remember, and then quickly addressed, it could lead to a coma and – it is too horrifying to contemplate – death. There are diabetic associations in countries around the world. They help young parents to help their children. In cities and towns throughout Canada the Telus company generously supports the Junior Diabetes Research Foundation Walks for the Cure. Money and awareness is raised along with the hope that someday a cure may be found. Someday. Meanwhile, my granddaughter carries on because that is her only option. She is fun, witty, clever, kind, creative, fearless, and quite simply the bravest person I know. I am in awe of her. Last Saturday I donned a purple tee shirt emblazoned “Team Kenzie Mac”. She and her family walked at our local Telus Walk for the Cure. We are her team. Everything else can wait. Everybody else can wait. Nothing else matters. We were there for her for the walk in the rain, we are here for her now, and we will be here for her always. May I live to see that day that the work begun so long ago by Banting and Best is completed so that no child need suffer, that no parent need suffer, and that type one diabetes is cured, once and, I pray, for all. If you liked this column, please send it to others using Facebook or your social media platform of choice. A powerful message, John. Even as someone who witnesses the blood-testing and insulin injections fairly regularly (I have a brother and a sister who are both Type 1 diabetics), I cringed at your (accurate) description of the painful and repetitive needle/pin pricks that are the realities of managing this disease. And the worry, and the fact that doing anything “spontaneously” is out of the question; instead, every activity involves planning, assessing, managing, and more planning. Both of my siblings would have died long ago had it not been for these medical discoveries, but you are right to remind us that more needs to be done. My best to Jen for her bravery and tenacity (sounds like Kenzie has picked up many character traits from her Mom!). p.s. I posted on my Facebook page, too.